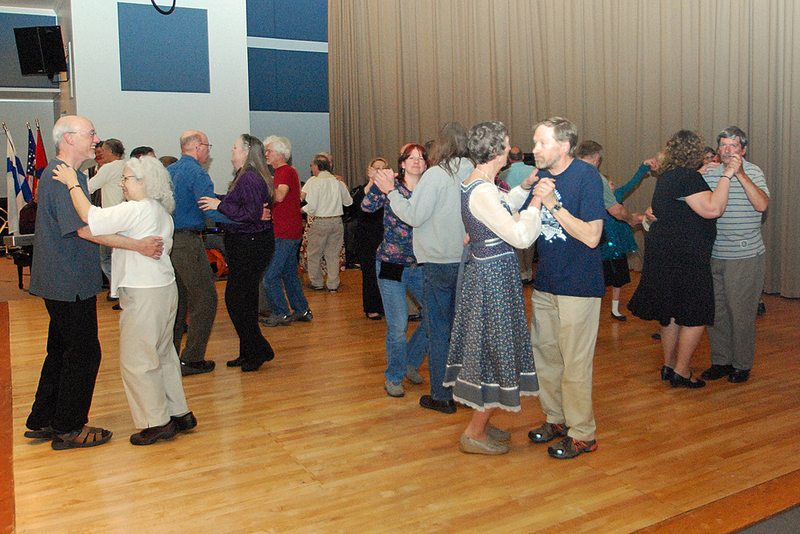 A fund raiser dance for FinnFest 2013 was held recently at the Finlandia University's Finnish American Center. 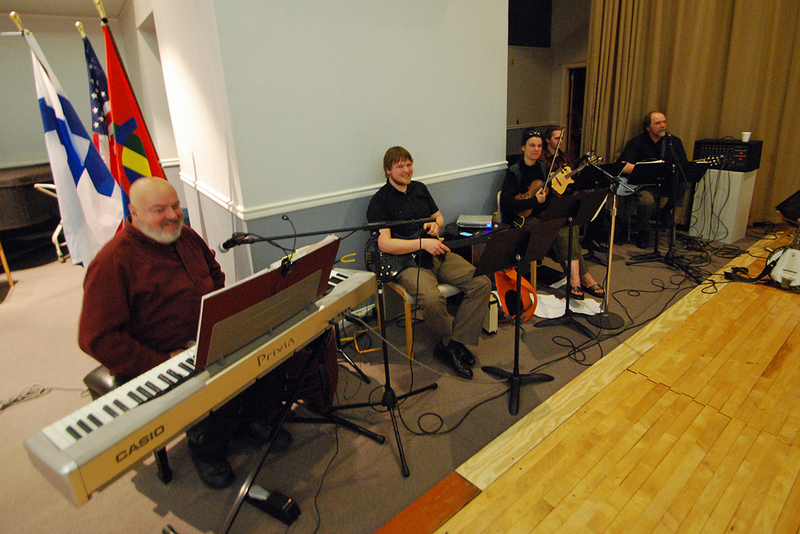 Dancers and music lovers of all ages participated in the evening of music, by the famed Thimbleberry Band. Additional or updated Web sites will be listed as they become available. 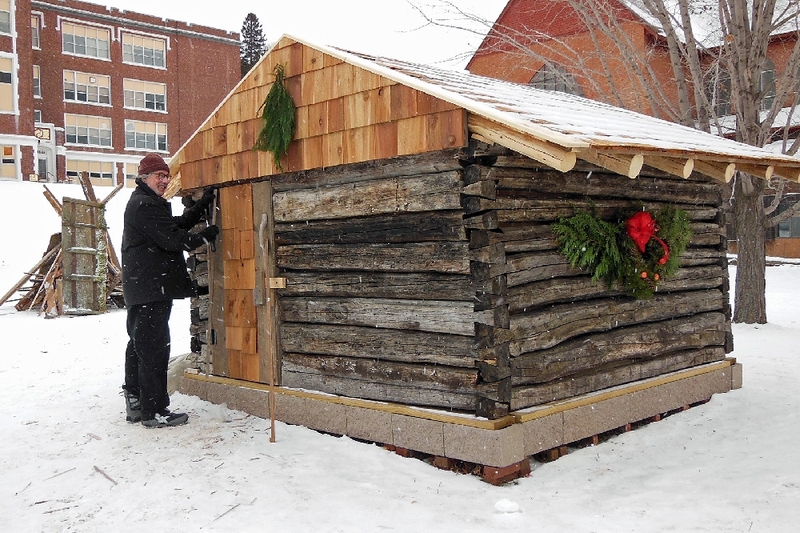 A real working sauna takes shape once again on the lawn of the Quincy Commons in downtown Hancock. 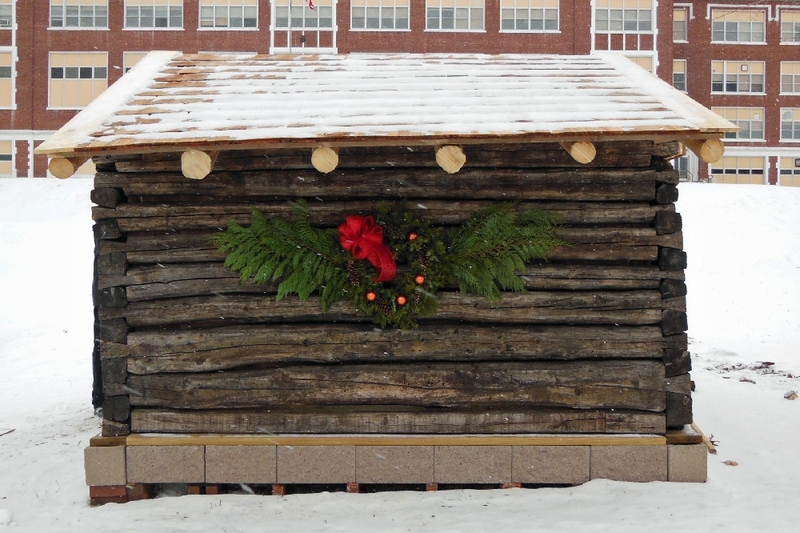 This sauna was originally built either in the very early 1900s, or in the late 1800s, but has sat unused and neglected for many years. It is bring rebuilt, and put to use, for FinnFest 2013, coming to Hancock this summer. Another view. The original body timbers were salvageable, but the roof was lost. 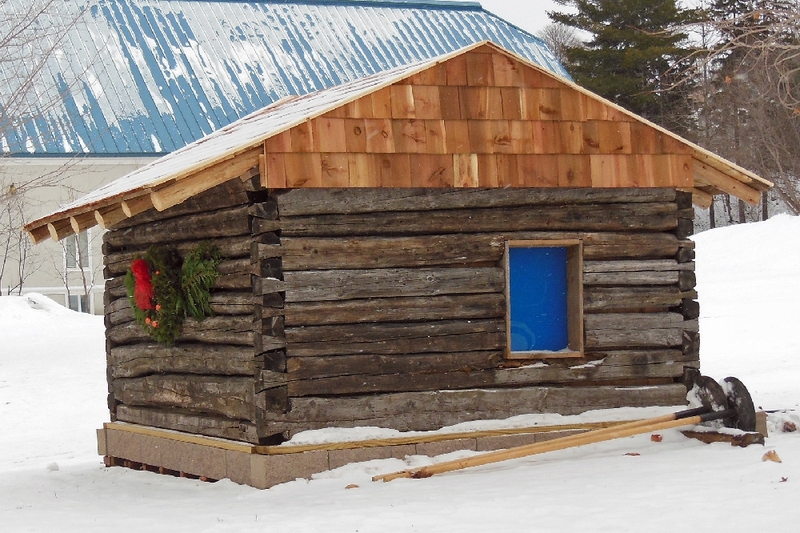 The early time use of shaped joints is evident, and kept here as designed Volunteering to work on this day is Ken Kuzinski, one of many who has worked to bring this project back to life. Well done. Dancers enjoyed Copper Country favorites from polkas, waltzes, schottisches, tangos, and fiddle tunes, from a band with Finnish, French-Canadian, Slovenian, and Irish heritages. And also enjoyed the refreshments of all types. The dance also honored two of the Bands departing members, who graduated MTU this spring, and will be leaving the area. We wish them well in their new endeavors. The Band is renowned for the large number of instruments they can play in their musical repertoire. Many of the crowd simply sat and enjoyed the music and watched as others danced the evening away. While this was a first pre FinnFest activity, it will by no means be the last, as many Committees are now at work making plans and arrangements for the upcoming FinnFest 2013 next summer here in Hancock and Houghton. 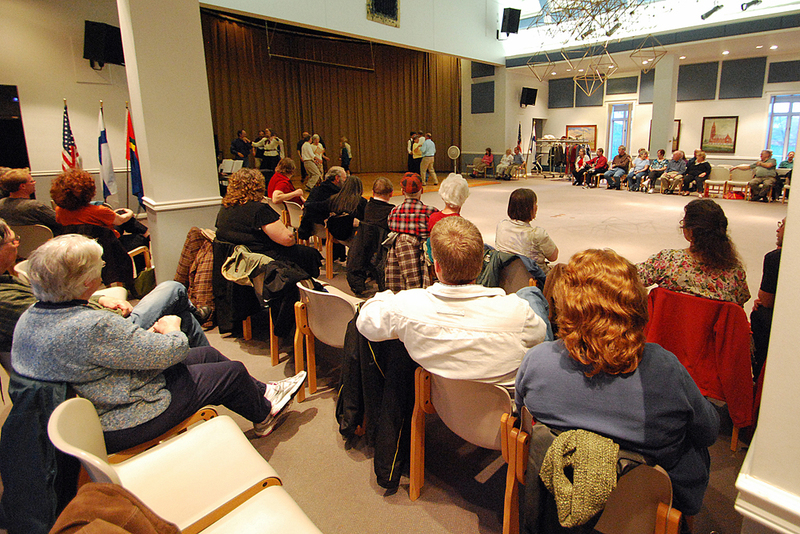 Be sure to watch for future stories and announcements about FinnFest USA 2013, and check the informational links listed at the beginning of the pictorial.